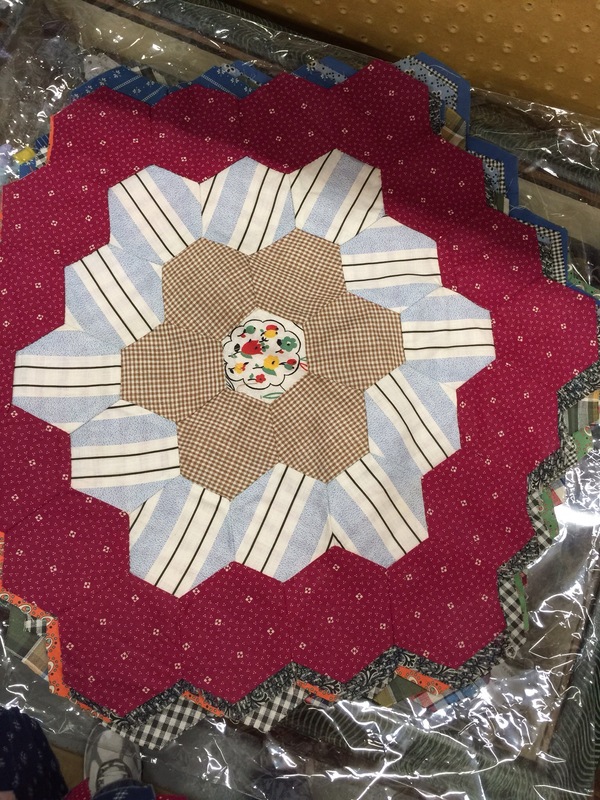 Last week, we stopped at an antique mall and had a wander through. 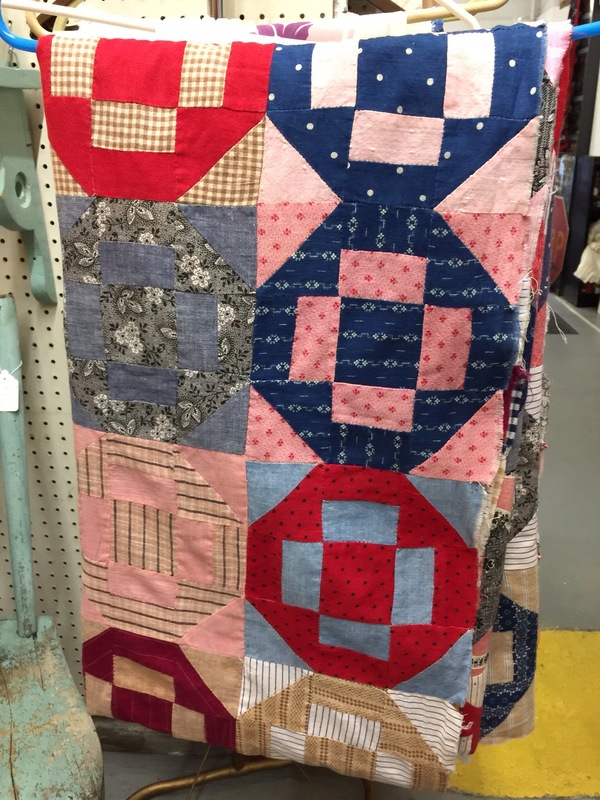 I didn’t bring anything home, but I was tempted by a few quilty things. In the end, I decided pictures were all I needed. First, was a pile of huge Grandmother’s Flower Garden blocks. These were 20 inches across! They were beautiful and not a bad price. 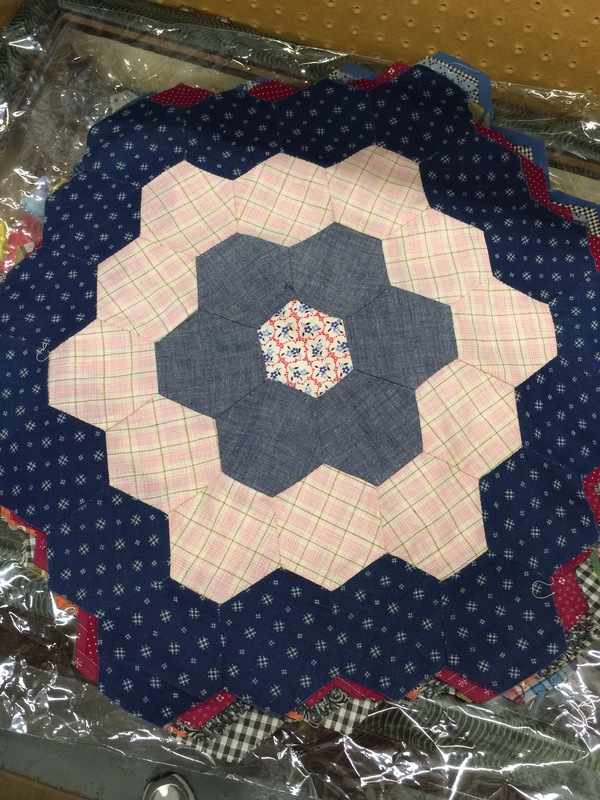 But I have enough hexie projects of my own to finish! 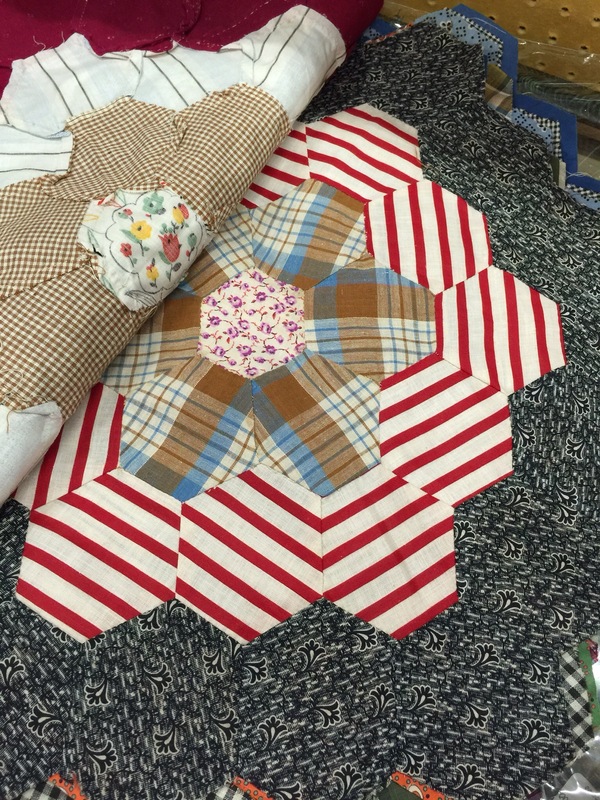 I also loved this quilt top. Such a great block pattern! Sadly, someone had washed this unfinished top, causing the seam allowances to fray badly. It needed lots of repairs and was a bit out of m budget anyway. I want to remember this block pattern though, I can see myself using this. 3 Responses to Some vintage inspiration…. I really like the last block as well. I think it looks like a pretty easy, straight forward block. I am going to take notes on this one to use my civil wars on. Thanks for sharing! 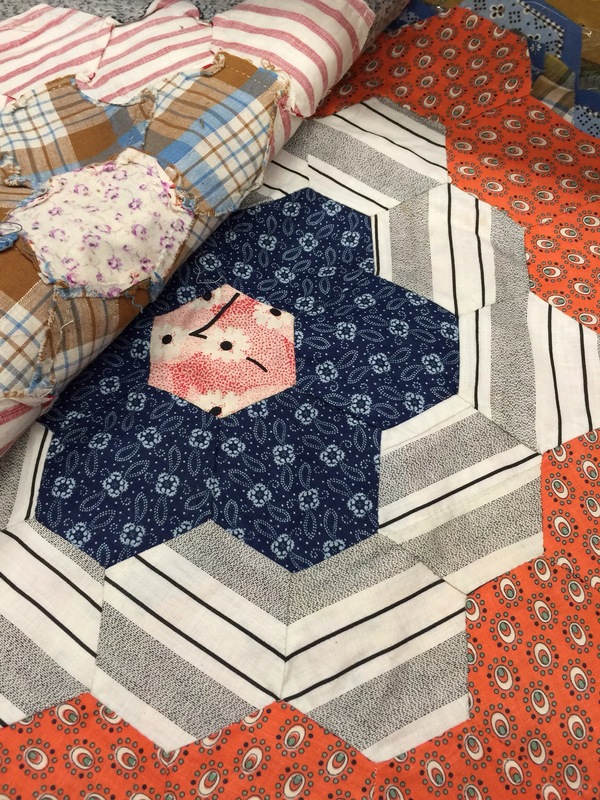 I used that bottom quilt block not so long ago with a nine patch block . A very fun block to make!